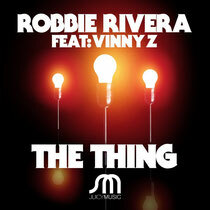 Robbie Rivera recently previewed the release of his new house track, ‘The Thing’, five minutes and 22 seconds of pure, raw beats accompanied by vocals from Vinny Z, who just happens to be Robbie’s personal trainer! After a short intro, Vinny Z asks one important question, “Did you do ‘the thing’?” The bass picks up, the builds increase, and the rest takes you on a musical journey in hopes of unfolding ‘the thing’. In the end, Robbie leaves that up to you to decide, but he’s confident that it should work on your dancefloor. With remixes from Gary Caos and Hoxton Whores, it’s out 22 October. Check it out below.